Book your FREE day at our Academy. We would love to learn more about you and your golf game. 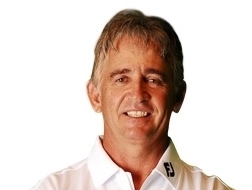 Hendrik is deeply rooted in the game of golf and has more than 3 decades of experience in the competitive golf world as a professional golfer, professional golf coach, golf training aid inventor, golf course designer and just general golf nut. To learn more about Hendrik and to see how he can help you, follow the link below. Martin has 20+ years of experience in the competitive golf world as a college golfer, professional golfer and as a golf coach. He spent 11 years in the United States where he gained invaluable experience. Experiences he is now sharing with his students at Buhrmann Du Toit Golf Academy. Watch the video below to get an idea of the systems and structures we use to help tournament golfers perform at the peak of their potential. FREE Strokes Gained Putting Calculator. Add a round and learn your putting skill vs a Tour player.